Combine flour, sugar, baking powder, and salt in a bowl; make a 'well' in the center of the flour mixture. Pour milk, eggs, and 1 tablespoon oil into the well. Mix until well moistened. Place a griddle over medium-high heat; sprinkle a few drops of water onto the griddle. If the droplets bounce, the griddle is ready; add 2 teaspoons oil. Spoon batter onto the griddle; cook until bubbles form and the edges are dry, 3 to 5 minutes. Flip and cook until browned on the other side, 3 to 5 more minutes. Repeat with remaining batter. 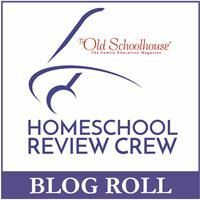 My year of reviewing for Schoolhouse Reviews is at an end. I feel sad about this. I am waiting, hoping to be chosen to do this again next year, but I won't know until the end of the week. I have so enjoyed being part of the crews. Nice group of people to work for with clear expectations. :) 30 reviews I did if I didn't miss my count. Kept us busy. We thoroughly enjoy Reading Kingdom. It has clear expectations, the lad knows how much I expect him to accomplish. I see the results in his learning. It is so clear cut it works well for him. We did have a rough start with the program but have now hit our groove with it. Chess House. It inspired us to start our own chess club. We love it's portability and everything about it. Bible Study Guide for all ages was a huge hit i our house. It works both for teacher and son. The lad isn't keen on the timelines, likes the geography and overall finds the format easy to use, understand and read. :) We've purchased more in the series. French Essentials was one of the last reviews we did, we continue to use it and plan to download ALL the units as they come in. Excellent program. Circle Time isn't so much a program as an awareness of how having a regular start to the day is important. When we don't have our regular time, it feels like we don't get anything done in our day even though I know we do. Adventus is a program I LOVED. My son loved it to. We used it regularly up til about 2 months ago when my computer needed to be rebooted I think is the correct term. Ever since then I can't get it to work again. I find it frustrating. But the point of this post was to say what we are using now. :) We enjoyed Seed Sowers, Gryphon house, birdcage press and many others. But some were short term reviews and others are on-going programs. It has most definitely been an interesting year filled with lots of learning. :) I am hopeful I'll be chosen for next year as well. OH!!! Guess what. Others thought this would be a fun idea as well and so to coincidence with the blue ribbon awards, we're doing a linky to celebrate our favourite reviews. Please do come join us as we thank our vendors! :) Join here.